Professor Gary Smith has a long history of research projects debunking dubious uses of data in statistical analysis. His book Standard Deviation: Flawed Assumptions, Tortured Data, and Other Ways to Lie with Statistics, which was a London Times Book of the Week, warns of the dangers of confusing correlation with causation in statistical analysis. His paper "The Baseball Hall of Fame is Not the Kiss of Death" looks at the problems with searching for patterns in sports data. stocks that make Fortune’s most-admired list beat the market, but the stocks that were chosen by Good to Great and In Search of Excellence do not. His statistical and financial research has been featured in various media, including the New York Times, Wall Street Journal, CNBC, WYNC, WBBR Bloomberg Radio, Motley Fool, Scientific American, Forbes, MoneyCentral.msn, NewsWeek and BusinessWeek. He is the author of eight textbooks, five trade books, nearly 100 academic papers, and seven software programs on economics, finance and statistics. In addition to teaching at Pomona College, he also provides expert analysis and economic consulting. His book, $100 Bills on the Sidewalk, is intended to help investors distinguish between valuable financial advice and misleading, misguided and nonsensical assertions. His most recent book, The AI Delusion, argues that, in the age of Big Data, the real danger is not that computers are smarter than us, but that we think computers are smarter than us and therefore trust computers to make important decisions for us. You can read Professor Smith's commentary on economics, business, sports, and politics on his blog at http://garysmithn.com/index.html. Professor Smith is interested in financial markets, especially the stock market, and the application of statistical analysis to finance and sports. “Great Companies: Looking for Success Secrets in All the Wrong Places,” with Gabrielle Baum, Journal of Investing, forthcoming. “Like Mother, Like Daughter? : An Economic Comparison of Immigrant Mothers and Their Daughters,” with Margaret Hwang Smith, International Migration, 51, 2013, 181-190. “Poker Player Behavior After Big Wins and Big Losses,” with Michael Levere and Robert Kurtzman, Management Science, 55 (9), 2009, 1547-1555. “Would a Stock By Any Other Ticker Smell as Sweet?,” with Alex Head and Julia Wilson, Quarterly Review of Economics and Finance, 49 (2), 2009, 551-561. “The Real Dogs of the Dow,” with Anita Aurora and Lauren Capp, The Journal of Wealth Management, 10 (4), 2008, 64-72. “Bubble, Bubble, Where’s the Housing Bubble?,” with Margaret Hwang Smith, presented at the Brookings Panel on Economic Activity, March 30-31, 2006; subsequently published in Brookings Papers on Economic Activity, 2006: 1, 1-50. “A Great Company Can be a Great Investment,” with Jeff Anderson, Financial Analysts Journal, 62 (4), 2006, 86-93. “Shrunken Earnings Predictions are Better Predictions,” with Margaret H. Smith and Manfred Keil, Applied Financial Economics, 14, 2004, 937-943. “Bowlers’ Hot Hands,” with Reid Dorsey-Palmateer, The American Statistician, 58, 2004, 38-45. “Scared to Death?,” British Medical Journal, 325, 2002, 1442-1443. “Regression to the Mean and Football Wagers,” with Marcus Lee, Journal of Behavioral Decision Making, 15, 2002, 329–342. “The Nifty-Fifty Re-Revisited,” with Jeff Fesenmaier, Journal of Investing, 11, 2002, 86–90. 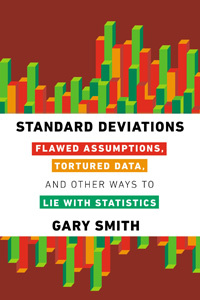 Professor Gary Smith's book, Standard Deviations: Flawed Assumptions, Tortured Data, and Other Ways to Lie with Statistics. CNBC interview about Professor Smith's research on stock market ticker symbols. 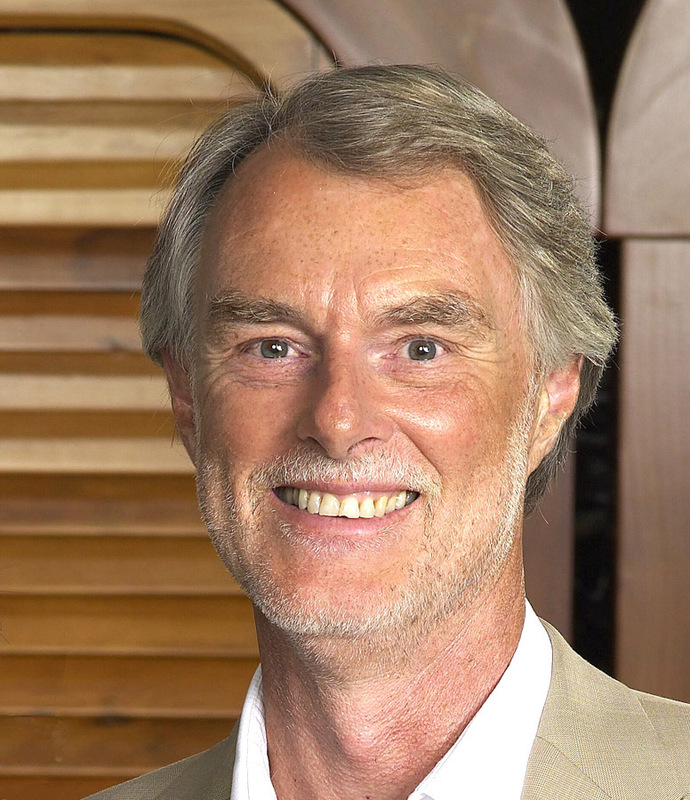 Professor Smith discusses his book Standard Deviations on The Brian Lehrer Show.